We gladly inform our guests that Gastro cruise tickets at lunchtime are not available, leaving at 11.45. For having dinner on board, tickets are available but limited! On the 7th of December, 2017 a unique and exclusive program is starting. 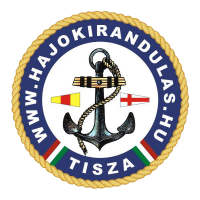 This is the first time organising on the river Tisza and Bodrog. We are inviting you to visit Tokaj, having a dinner and enjoy cruising during Gastro days. Enjoy relaxing on the most beautiful and modern even special luxurious catamaran called Nimród. During the 1.5-hour cruising, everyone has the possibility to know all rivers and hills, surrounding the city. Anybody, who would like to take part in the trip without dinner, is lovely welcomed. The following cruise tickets can be booked online here! 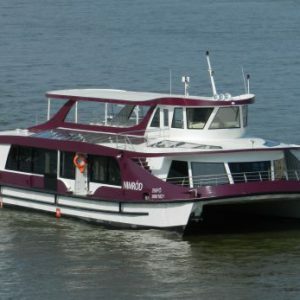 The ship leaves from Tokaj marina at 9.00 a.m. After cruising 2,5 hours, the ship arrives to Sárospatak. Departure time is 15.00 p.m. to Tokaj. Meanwhile in free time, you have the chance to visit Rákóczi Castle even check the Reformed College. One tour is occasionally by bus.